Get Ready: One Week ’til MasteryCon! Can you believe it ?!? MasteryCon is only one week away! To help you plan for the ultimate MasteryCon experience, we’ve compiled a list of last-minute info and reminders. We’ve added a free (yes, FREE!) pre-conference workshop on Wednesday for campers who want to start the MasteryCon fun early! A limited number of seats are available, so register now! If you haven’t already booked your lodging, NOW IS THE TIME to reserve your room at the discounted rate. And, if you need to hitch a ride from the SLC airport to MasteryCon, may we suggest scheduling with our preferred transportation partner. If you’re not staying onsite, you can park for free in the Red Hawk lot, located just below the Silverado Lodge. Dress is casual and comfortable (it is summer camp). But, because MasteryCon is nestled in the most beautiful mountains in the whole wide world, it’s best to bring along the right gear. You’ll want to pack up that sunscreen and a light jacket (warm days, cool nights). And, if you want to join the vista-filled group hikes, don’t forget comfy hiking boots and anything else you may want on the trail. You’ll want to take in everything at MasteryCon! Be sure to attend conference meals and evening entertainment; they’re all included in your registration, and they are awesome for networking. Also, keep your eyes peeled at the conference for ways to get involved, including earning MasteryCon merit badges and participating in activities wherever you see this guy. 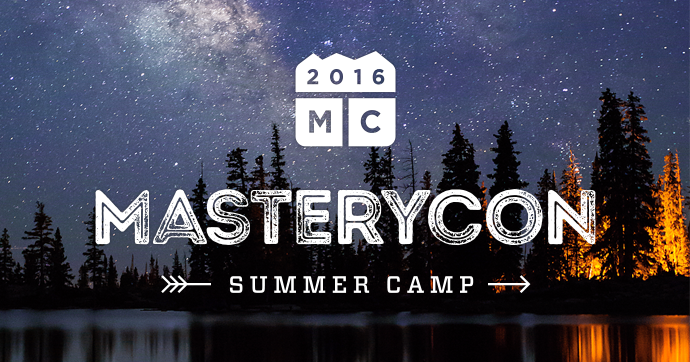 The MasteryCon counselors can’t wait to meet you at summer camp! Join the fun NOW by connecting with MasteryConnect and other attendees on Twitter, Facebook, and Instagram. Remember to use our conference hashtag, #masterycon, and follow us for updates while at the conference. See you in seven, campers! The countdown is over for the launch of the new premium version of our classroom engagement app, Socrative! Users from around the world have already jumped on board to be the first to experience the new functionality. Socrative PRO gives you everything you love about the free app plus a heap of awesome new features to help you personalize learning, amp up engagement, and work formative assessment magic. Thinking about upgrading? Here’s five reasons why you’ll love Socrative PRO. Each Socrative PRO account allows you to have 10 unique activity rooms. Run quizzes, polls, exit tickets, or Space Races at the same time to better manage multiple classes, remote and blended learning, and differentiated instruction. Create a room for each of your classes, divide students into groups, or assign homework activities—or do it all! Large class, PTA meeting, or district-wide training on the horizon? No problem. You can accommodate up to 150 students in Socrative PRO rooms. With three times the student capacity of the free app, Socrative PRO is perfect for conferences, professional development, and grade-level assessments. Save time and energy by uploading class rosters straight from a CSV or Excel file into Socrative PRO (or enter rosters manually, if you’d prefer). Restrict access to your rostered classrooms by requiring students to enter their personal ID number. And students will save time; they’re only required to enter their ID once into rostered rooms for immediate and future access. Set the timer to have your Space Race end automatically. You can then more freely move around the classroom to answer questions, listen to students, and interact with the class. 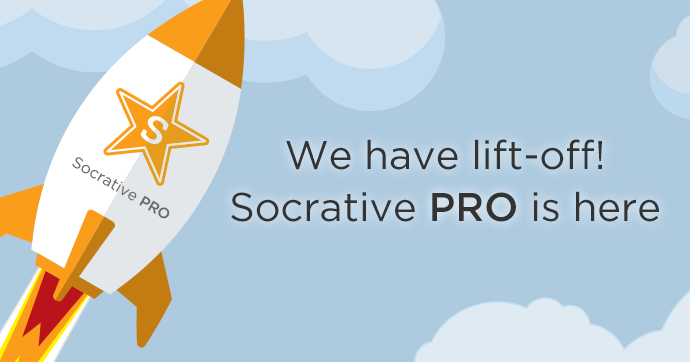 We’ll be rolling out new premium features to Socrative PRO users in the coming months. What should you expect? Well, instant quiz sharing, a searchable quiz community, and a silent hand raise feature—just to name a few. And you’ll soon get the ability to upload your own icon for a personalized Space Race experience (what will you race?!?). Whether you’re a seasoned Socrative aficionado or you’re just discovering the formative assessment app, you’ll want to check out all the great new features you’ll get when you upgrade to Socrative PRO. Socrative by MasteryConnect allows you to gather formative data instantly. Looking to gather formative data over time? Check out other K-12 solutions from MasteryConnect.